Following the success of our first event in November, we are holding a follow-up debate entitled “Kurdistan: Why International Support is Crucial”. 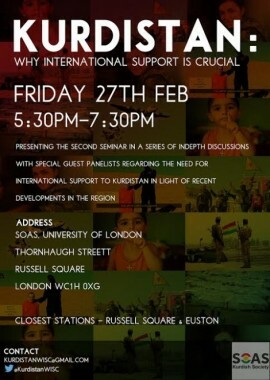 We hope to again initiate and facilitate an in-depth discussion on the Kurdish demand for international support for Kurdistan in light of recent developments in the region. The Islamic States’ violent offensive continues to have grave repercussions for the security and welfare of the citizens both regionally and globally. 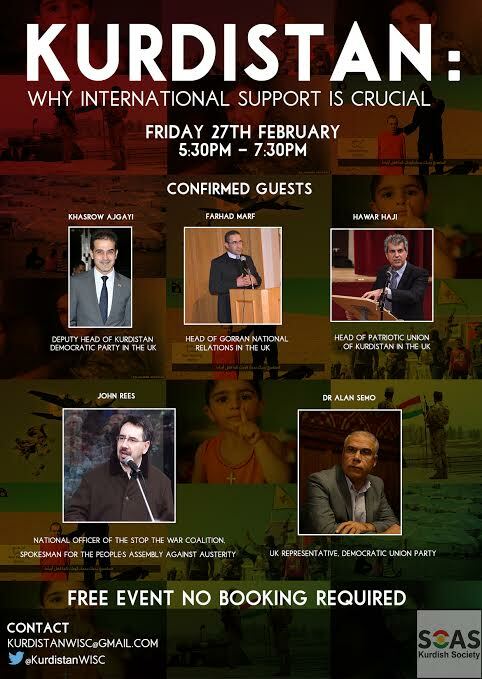 The event aims to highlight the international community’s responsibility to further assist the Kurds in Iraq and Syria and provide relief to the innumerable and increasing number of victims of this unforgiving war.